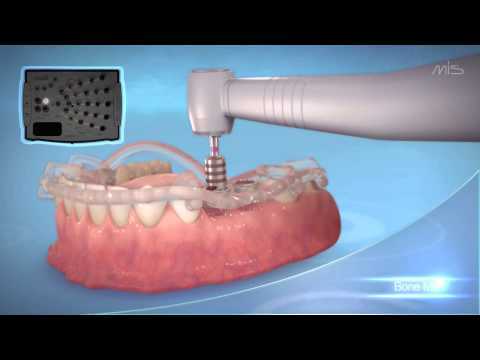 DIGITAL IMPLANT DENTISTRY: Extremely accurate, user friendly 3D printers provided by the world’s most experienced name in 3D printing machines, produce the MGUIDE surgical templates. The MGUIDE surgical set is comprised of tools and instruments specially engineered to optimize the guided implant placement procedure. The open wire-frame design of the MGUIDE template allows an open field of view during surgery, where anesthesia and irrigation are accessible from all angles without removing the template. Raised flap surgery can also be more easily performed. The template is constructed from a strong durable and biocompatible material. The MGUIDE surgical set simplifies the implantology process by eliminating the need for traditional guidance keys. Specially designed sleeves and drills stop at the precise position and depth planned, freeing-up hands and saving valuable time. Please contact your MIS representative. Extremely accurate, user friendly 3D printers provided by the world’s most experienced name in 3D printing machines, produce the MGUIDE surgical templates. The MGUIDE surgical set is comprised of tools and instruments specially engineered to optimize the guided implant placement procedure. 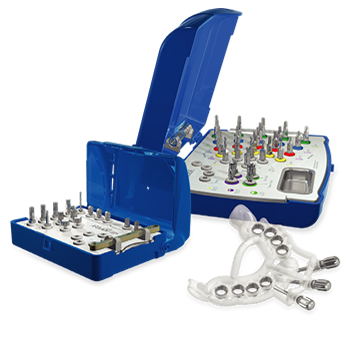 MGUIDE surgical kits simplify the implantology process by eliminating the need for traditional guidance keys. Specially designed sleeves and drills stop at the precisely planned position and depth, freeing-up hands and saving valuable time. 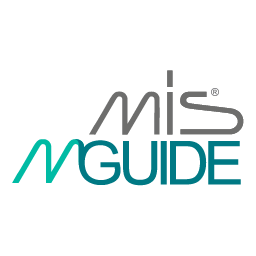 The open wire-frame design of the MGUIDE template allows an open field of view during surgery, where anesthesia and irrigation are accessible from all angles without removing the template. Raised flap surgery can also be more easily performed. The template is constructed from a strong durable and biocompatible material. 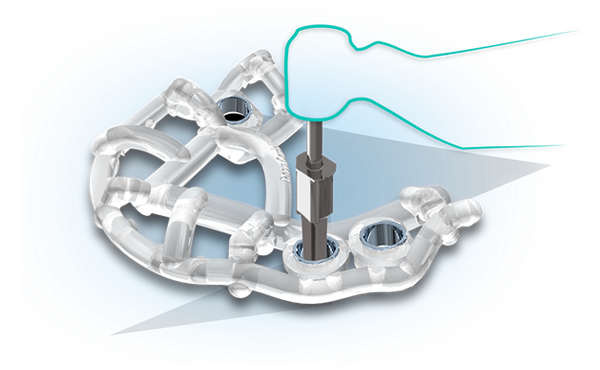 The 3D CAD/CAM design ensures the highest level of accuracy. The lightweight template design is an added benefit for patient comfort as well.